I used to think kites were boring. How much enjoyment could you get from flying some piece of material in the air? Then I discovered kite boarding. I had no idea that kites could become a sport and a mode of transport. 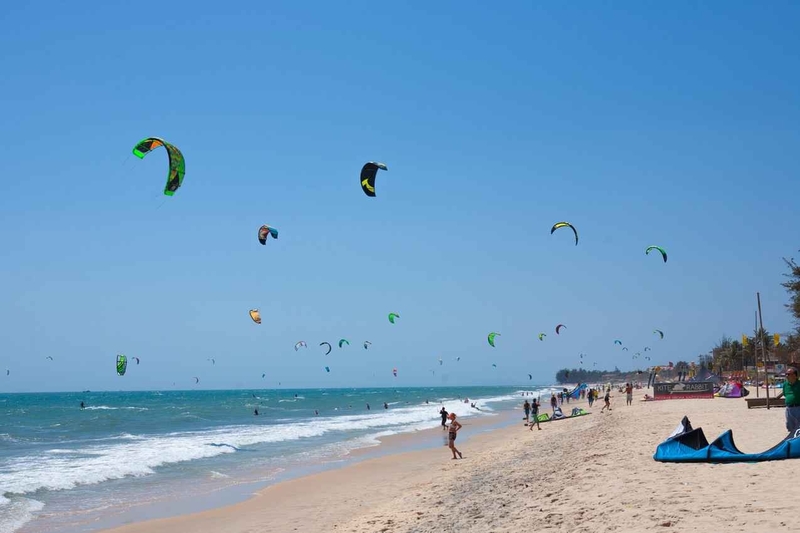 The best kite boarders whizz across the ocean before jumping high into the air, and then floating back down like feathers. I tried it and also flew through the air. But then I crash landed like an overweight American tourist dive bombing the pool. Learning kite boarding requires you take a course. But once you learn, it’s one of the most exhilarating sports around. That’s why it’s the fastest growing water sport there is. 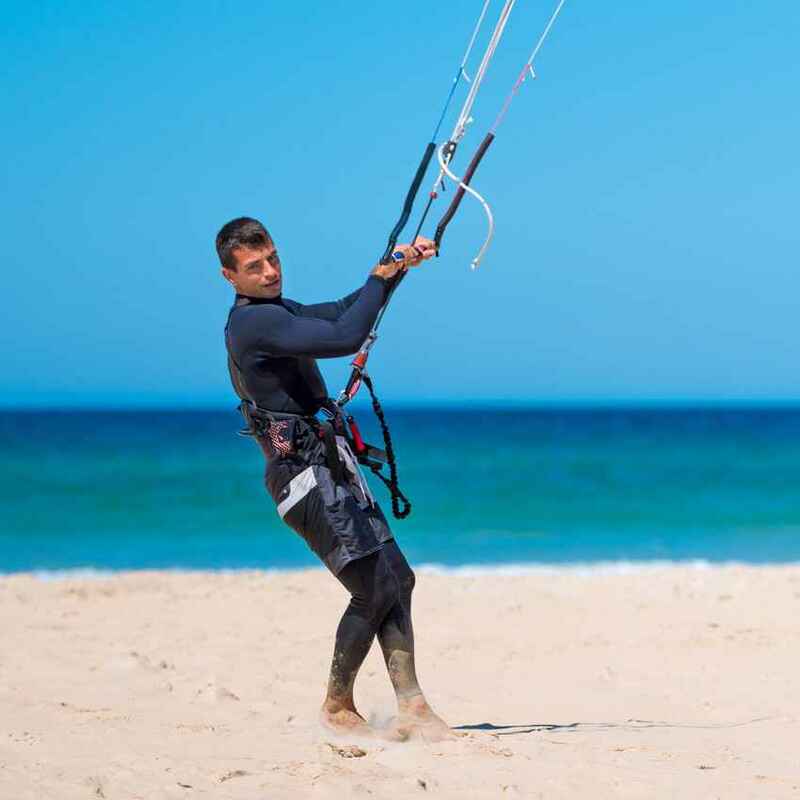 Where To Go Kite Boarding In Playa Del Carmen? Playa Del Carmen probably has the most renowned spots in the whole of the Mayan Riviera for kite boarding. The water is flat and shallow, the wind is generally a constant 10 – 20 knots, and it’s mostly blowing onshore or side shore. The best beaches are away from the main hotel zone. Nobody wants to land on a swimmer when they misjudge a landing. The Playacar hotel zone is the most popular spot. It’s just south of the main Playa Del Carmen area and it’s where many of the all inclusive resorts are located as well as the kitesurf centers. Also check out Xpu-Ha, another beach with endless empty sand and ocean. 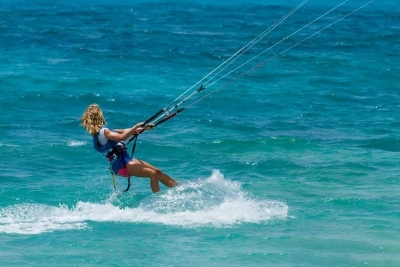 Where To Learn Kite Boarding In Playa Del Carmen? The conditions in Playa Del Carmen make it the best place to learn kitesurfing in the whole Yucatan Peninsula. 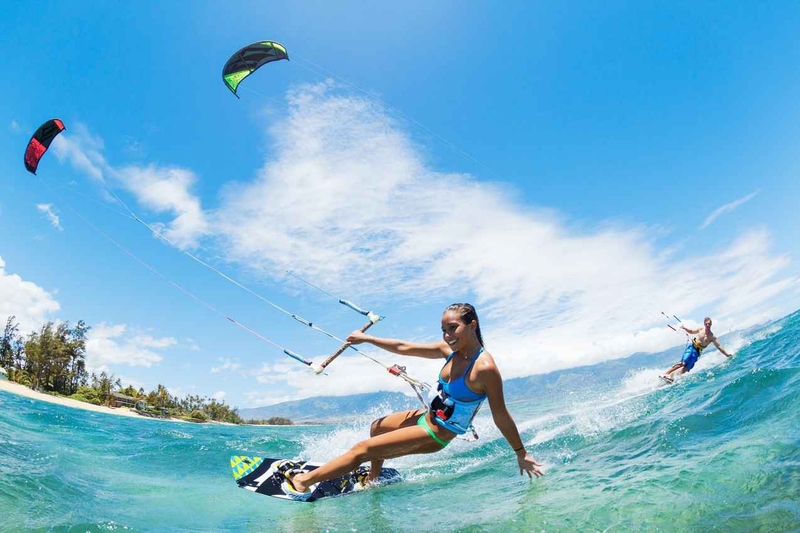 There are a few different schools based in Playa Del Carmen which offer kite boarding lessons. 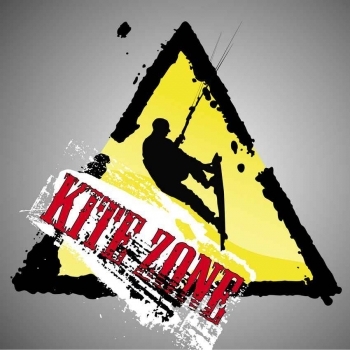 The first step is a Discovery Kite Boarder Program, which takes three hours and gets you comfortable controlling the kite. After this you move onto dragging yourself through the water with the kite. The first time I did this I took off and almost went head first into small child building a sandcastle. Once you’ve mastered body dragging, the final step is learning to ride on the board with the kite. Throughout it all you’ll get the IKO (International Kite Boarding Organization) certification so you can continue learning anywhere else. But I’m A Pro. Is Playa Del Carmen Going To Be Exciting Enough For Me? For experienced kite boarders Playa Del Carmen is still easily the best place across the Mayan Riviera. You’re almost guaranteed good conditions from July to February and there’s a whole community of kite surfers hanging out around Playa Del Carmen. What Playa Del Carmen doesn’t have is waves. If you’re into big wave riding then you might find the calm ocean here a little boring. But if you’re into speed and downwinders then this is a place for you. Try starting at Coco Beach and riding downwind to Playa Del Carmen. The mix of sun and salty water can be brutal. You need biodegradable/waterproof sunscreen, a cap, and sunglasses you can fasten securely to your head. Don’t go in the water near children building sandcastles. Especially when you’ve got bad kite control like me. Always hang around for a beer after a kite surfing session. It’s like the calm after the storm. Playa Del Carmen Kite Boarding claims to be the only kite surfing school in Playa Del Carmen. It’s not true but they were the first in the area. Ikarus Kite School has been running in Playa Del Carmen since 2002, and they have some kite and accommodation combos which are definitely worth checking out. Freestyle Playa are based out of Xpu-Ha beach. A few years ago it was just two passionate kiters offering lessons from a wooden shack. Now they’re a full on pro outfit, and they run some kite safaris across the whole peninsula. Dive Shop Mexico aren’t just about turtles anymore. If you’ve got your own gear then it costs nothing. But the pros already knew that. 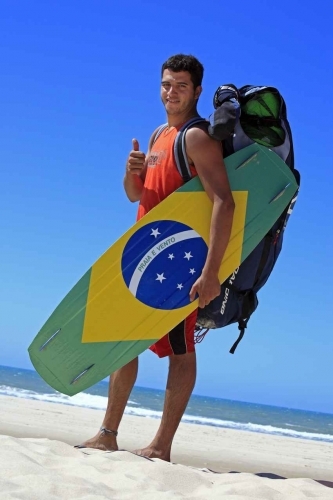 Those who can kitesurf can rent full gear for around $100 + USD per day. A 12-hour course in a group of two will cost up to $600 USD per person, and even more for private instruction. If you are going to learn then you really need to do the whole course. 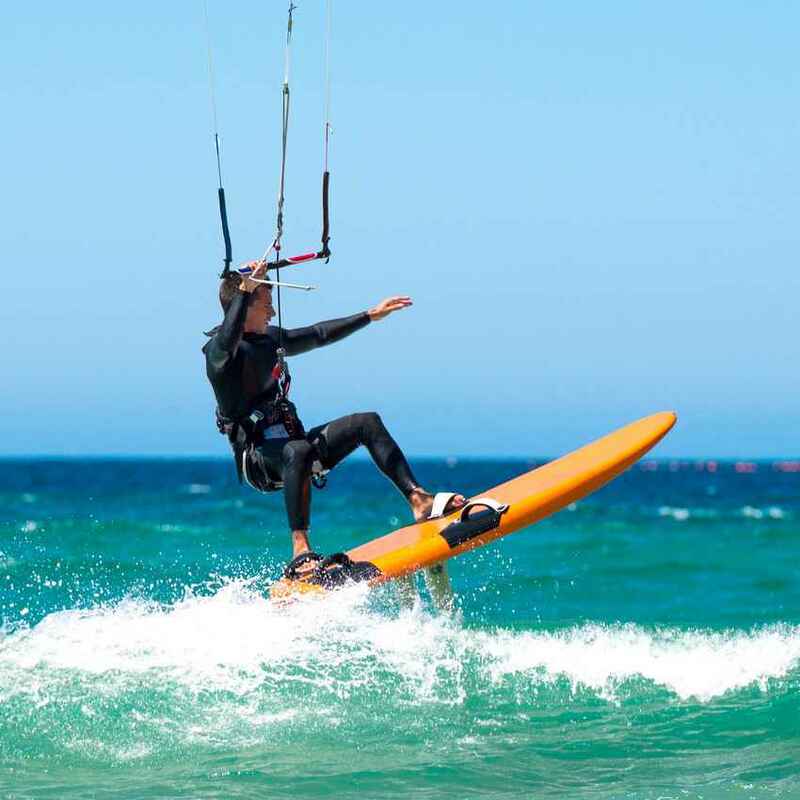 It takes at least six hours learning to control the kite before you can even get on the board. Will I See You Kite Boarding, Rufus? If you see an awesome dude flying through the air doing tricks then you can be certain that it’s not me. But if you find someone telling stories about doing these tricks, you might have found me. Then again, if you spot someone smashing into the water and looking like an uncoordinated penguin then bingo…don’t laugh, just wave hello! I will see you kite boarding soon!